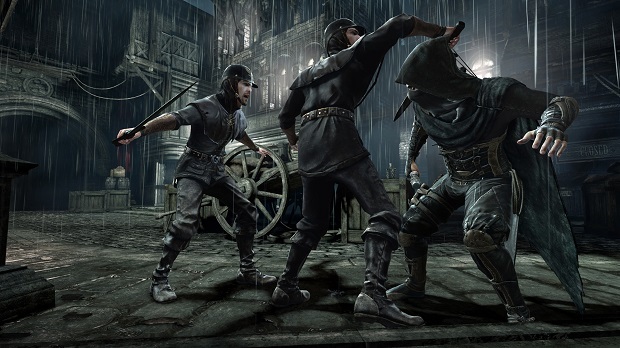 Thief might be the game I'm most excited about from 2014, so Eidos Montreal knows exactly how to tease me by releasing some screenshots from early in the game. These are all from an initial level of the game called Lockdown; a curfew has been imposed by Baron Northcrest in an attempt to stop the spreading of a disease known as The Gloom and to quell the unrest it has caused. I really like the look of the lighting effects in these screenshots, especially the one where the guard is casting a shadow on the wall. Whilst real-time lighting effects aren't anything new, I'm sure they'll play a vital role in the stealth side of Thief's gameplay.